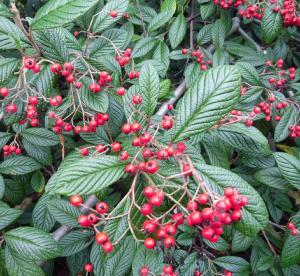 Cotoneaster rhytidophyllus is arguably the most beautiful of all the species, certainly the most distinctive. 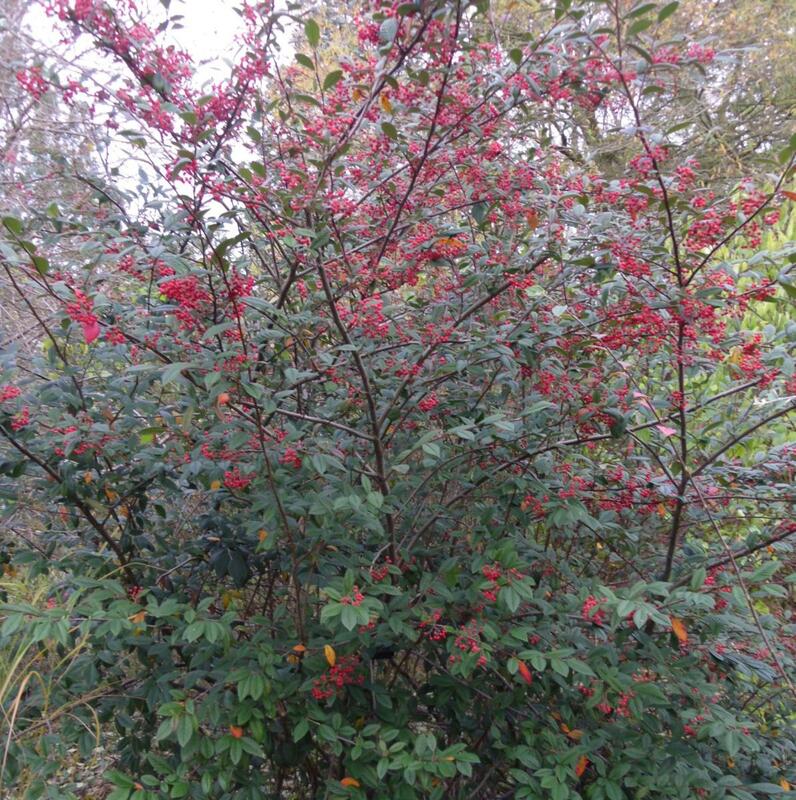 Originally introduced by Ernest Wilson in 1908 this species as originally introduced is possibly lost in cultivation, but has been reintroduced from China by the intrepid modern day plant hunter Mikanori Ogisu no. 95102 in 1995. 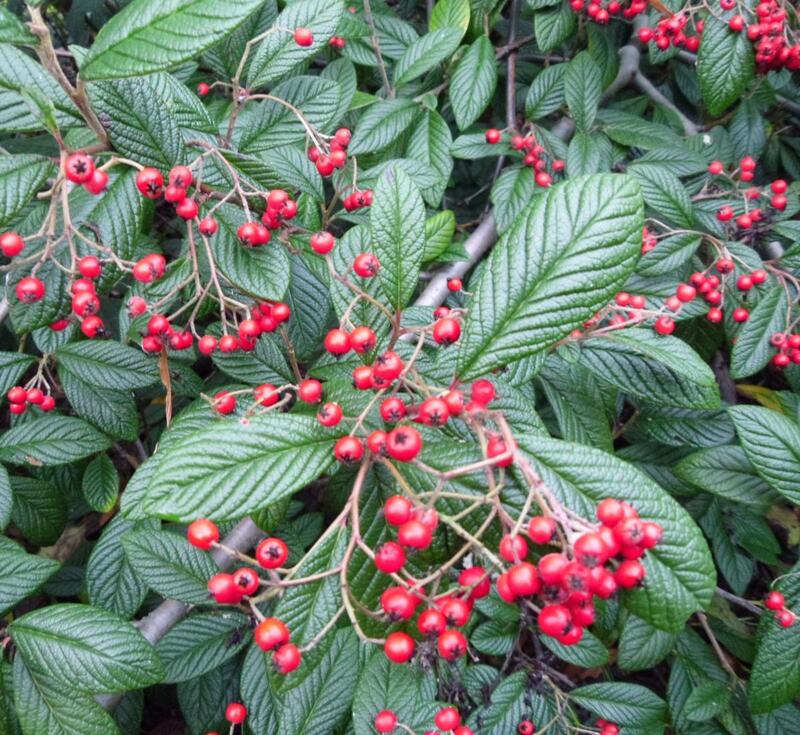 A medium sized evergreen related to Cotoneaster salicifolius with luxuriant large dark green leaves which are the most distinctive in the genus, attractively felted in buff indumentum beneath together with the young shoots in spring. 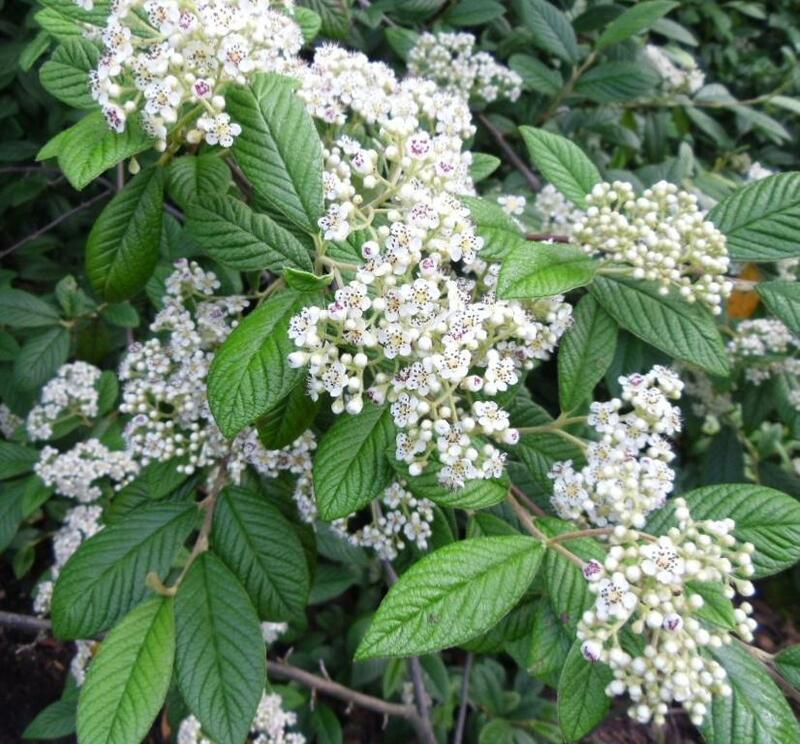 Flowers abundant in large trusses of creamy white, initially covered attractively in cream coloured down in July, are followed from October by large bunches of orange going bright red fruit.